Oregon is known as a place of beautiful, rushing rivers flowing through forested and agricultural valleys. The influence of Salmon, Steelhead, and Trout on the diets and consciousness of Oregonians cannot be overstated. Oregon is blessed with abundant rainfall that creates the rivers and lakes you see on this map. 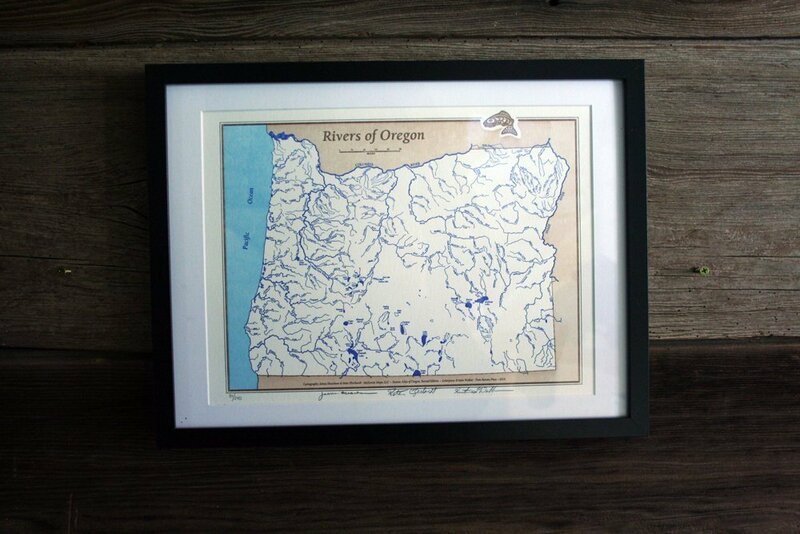 The “Rivers of Oregon” limited edition letterpress map was created in 2014 at Twin Ravens Press in Eugene, Oregon in collaboration with Jim Meacham and Peter Eberhardt of McKenzie Maps. 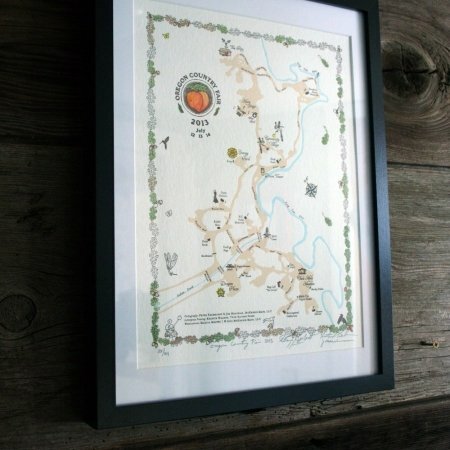 These limited edition maps were created by hand using a combination of photopolymer plates and hand-mixed inks on an old-fashioned Chandler & Price letterpress. They are printed on 100% bamboo, tree-free paper, for an environmentally-friendly impression you can see and feel! 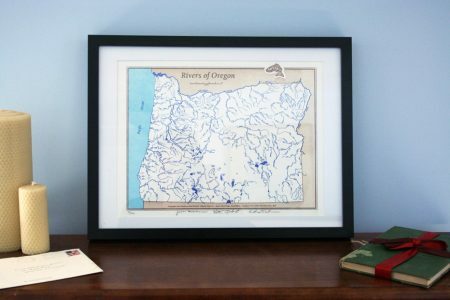 These prints would make an excellent work of art for the Oregon and/or Cartographic enthusiast! 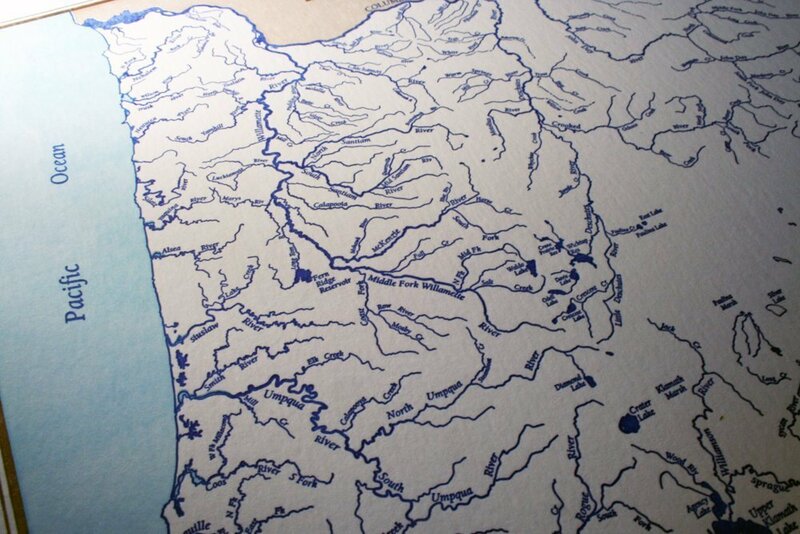 To deepen geographic understanding of Rivers, Lakes, Streamflow and Dams, we encourage the viewer to examine pages 162-171 in The Atlas of Oregon, 2nd Edition, published in 2001. 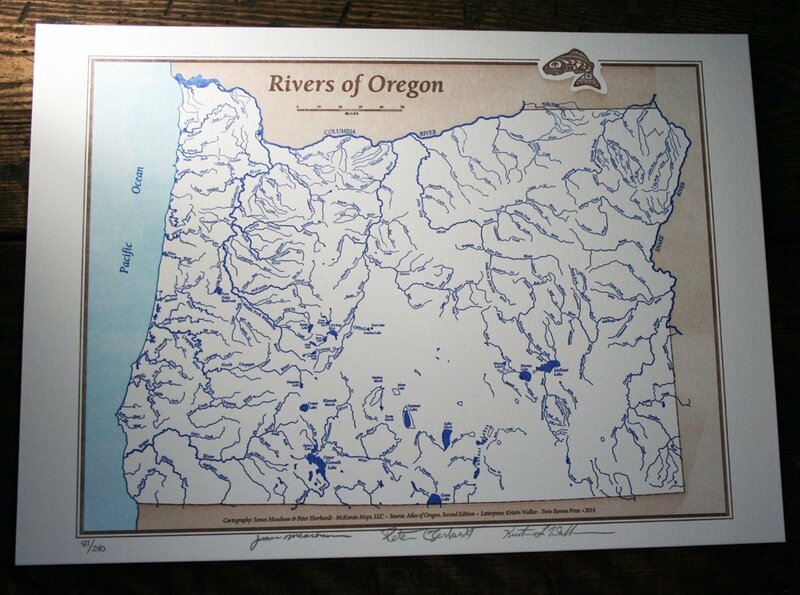 • Source: Atlas of Oregon, 2nd Edition – Used with permission, all rights reserved.